LÉVIS, FRANÇOIS (François-Gaston) DE, Duc de LÉVIS, army officer; b. 20 Aug. 1719 at the Château d’Ajac, near Limoux, France, son of Jean de Lévis, Baron d’Ajac, and Jeanne-Marie de Maguelonne; d. 26 Nov. 1787 at Arras, France. François de Lévis was born into an impoverished branch of one of the more ancient noble families of France. He entered the army in his teens, merely another poor Gascon cadet, but one with excellent family connections; his cousin was the Duc de Lévis-Mirepoix, who became a marshal of France in 1751. On 25 March 1735 he was commissioned a second lieutenant in the Régiment de la Marine, and was promoted lieutenant on 3 June. He served in the campaign on the Rhine during the War of the Polish Succession and on 1 June 1737, aged 17, was raised to captain. In 1741 he served in the French “auxiliary” force in the Bavarian army which invaded Bohemia during the War of the Austrian Succession, and took part in the capture and defence of Prague and in the disastrous retreat of 1742. On 19 Feb. 1743 he crossed the Rhine into France with 73 men, exchanged prisoners from four shattered regiments. He fought at Dettingen (Federal Republic of Germany) later that year, then served with his regiment in upper Alsace under the Maréchal de Coigny, and distinguished himself in several battles and sieges in southwestern Germany. Two years later he served with the army of the lower Rhine under the Prince de Conti. In 1746 his regiment joined the army of Italy, in which he served as assistant chief of staff in the force commanded by his cousin. In August 1747, while his regiment was aiding in the defence of Provence, he relinquished his company in exchange for a supernumerary colonel’s brevet and continued to serve until the end of the war as assistant chief of staff. Lévis had established a reputation as a brave and competent officer noted for his sang-froid, but he lacked the money required to support a regiment of his own. When, therefore, it was decided in 1756 to send reinforcements and a new general staff under the Marquis de Montcalm* to the army in Canada, Lévis accepted the post of second in command of the French regulars with the rank of brigadier. The position carried with it a salary of 18,000 livres, a supplement of 18,000 livres per year, and a kit and departure allowance of 9,000 livres. He also received secret sealed orders to be opened in the event of Montcalm’s death or incapacitation which named him to the command of the French regulars. In the event of Governor Vaudreuil [Rigaud]’s demise, Montcalm would automatically succeed him, and were Montcalm subsequently to die or be incapacitated, Lévis was then empowered to assume the office. Accompanied by five servants, he sailed from Brest, France, on 6 April and arrived at Quebec on 31 May. After seeing to the disembarkation of the troops, Lévis proceeded to Montreal where Vaudreuil and Montcalm were making preparations for the Oswego (N.Y.) campaign. Vaudreuil received him courteously, then dispatched him to take command at the Lac Saint-Sacrement (Lake George) frontier. While Montcalm hesitantly proceeded to lay siege to Oswego, Lévis made his dispositions to repel an attack on Fort Carillon (Ticonderoga, N.Y.). He decided that the best place to engage an approaching force would be at the northern end of Lac Saint-Sacrement, where the enemy would have to disembark and then be most vulnerable. The Anglo-American forces under Lord Loudoun gathered around Fort Edward (also known as Fort Lydius; now Fort Edward, N.Y.) declined to oblige him, however, and he spent the summer in sending out Indian and Canadian war parties to ravage the American frontier settlements in order to tie down their forces and to take prisoners who might provide intelligence of the enemy’s dispositions and intentions. Upon learning of the success of the Oswego expedition, Lévis was very concerned for fear his own efforts would be overlooked. 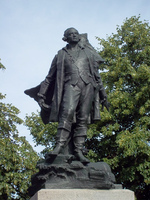 He wrote to the Comte d’Argenson, minister of War, declaring that it would be most disagreeable were Montcalm to receive recognition and favours, and he to be forgotten. He added, however, that were Montcalm to receive nothing then he desired nothing for himself. In the event, Lévis was rewarded with a 1,000-livre pension drawn on the order of Saint-Louis. 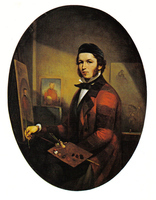 Lévis was eager to advance his own career; hence he had to make sure that no opportunity was missed to bring himself to the favourable attention of those in power. At the same time he did not begrudge his colleagues any credit that they earned. 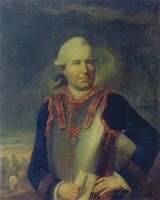 After François-Pierre de Rigaud de Vaudreuil’s 1757 winter raid on Fort William Henry (also called Fort George; now Lake George, N.Y.), he informed the minister that had Vaudreuil offered him the command he would gladly have accepted, “but,” he went on, “I could not have done better than he did. That enterprise had all the success that could have been expected of it.” This generous comment contrasts markedly with Montcalm’s sneering attempt to belittle the results of the raid and to denigrate Rigaud. By this time relations between Vaudreuil and Montcalm were more than strained. 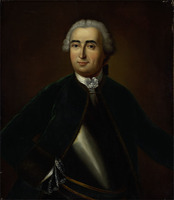 When the minister of War cautioned Lévis to maintain good relations with the governor general, he replied that he got on very well with Vaudreuil and would have a closer relationship with him but for the fact that Montcalm would take umbrage. 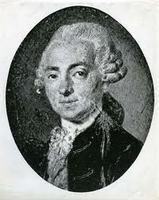 Lévis declared that he detested intrigue, had avoided it all his life, and would continue to do so. There is abundant evidence that he meant what he said. In the summer of 1757 Lévis organized the artillery siege train and the transport boats for the assault on Fort William Henry, then took command of the advance guard. When Montcalm arrived at the head of Lac Saint-Sacrement with the siege guns Lévis and his 3,000 men had the fort invested. After a nine-day siege, the garrison surrendered. 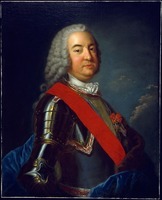 Relations between Vaudreuil and Montcalm neared the breaking point after Vaudreuil severely criticized Montcalm for refusing to follow up the victory by capturing Fort Edward as he had ordered. For Lévis, however, Vaudreuil had nothing but praise. In a dispatch to the minister he pleaded that Lévis be promoted major-general, expressing the fear that were his career not advanced he would request his recall to France, which, Vaudreuil asserted, would prove a grave loss to the colony. The following year marked the turning point in the war. The Anglo-American army received heavy reinforcements of regulars from Britain, and assaults were planned on Louisbourg, Île Royale (Cape Breton Island) to be followed by an attack on Quebec, on the French forts on lakes Champlain and Ontario, and on Fort Duquesne (Pittsburgh, Pa) on the Ohio River. In an attempt to disrupt this strategy Vaudreuil gave Lévis command of 3,000 men – 400 of the fittest of the French regulars, 400 colonial regulars, the rest Canadian militia and Indian allies. He was ordered to march into the Mohawk canton and try to force them to join him in an attack on the British settlements on the Mohawk and Hudson rivers. To have forced the Mohawks, the most pro-British of the Iroquois nations, to enter the war on the French side would have been a devastating blow to the Anglo-Americans. A further objective was to prevent Oswego and its supply line forts being rebuilt and manned. In addition, a thrust towards Schenectady and Albany (N.Y.) would have disrupted the enemy’s plans for an assault on the French position on Lake Champlain and allowed Montcalm to manœuvre the main French force against the Anglo-Americans on Lac Saint-Sacrement. Immediately after the French victory the smouldering resentment Montcalm felt towards Vaudreuil erupted into open conflict. 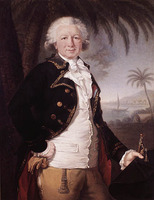 Vaudreuil wrote to the minister of Marine pleading that Montcalm’s request for his recall be granted and that Lévis be named commander of the French regulars in his place. Unfortunately for all concerned this request was turned down, but Lévis was promoted major-general. At the end of October he retired to his winter quarters at Montreal, well out of the parlour intrigue and savage squabbling that occupied the time of the senior officers and officials at Quebec. In mid May 1759, when a renewed British assault was expected, Lévis still expressed confidence in the outcome, provided that they waged a war of manœuvre and did not lock themselves up in the fortified places. 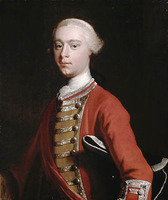 Montcalm privately expressed some resentment that Lévis’s views on how the defence should be conducted prevailed over his own with Vaudreuil and the regimental officers. It was, however, fortunate on occasion that Lévis’s plans were adopted. When Wolfe*’s army arrived before Quebec in June it was at Lévis’s insistence that the Beauport shore from the Saint-Charles to the Montmorency rivers was fortified and the line extended up the latter river when it was discovered that the Montmorency could be forded above the falls and the French position taken in the rear. Lévis was given command of this left flank and when, on 31 July, Wolfe launched a major assault at Montmorency it was beaten back with heavy losses. Following on the loss of Fort Niagara (near Youngstown, N.Y.) at the end of July [see Pierre Pouchot*], when it appeared likely that the British would make a thrust at Montreal from Lake Ontario, Montcalm felt compelled to detach Lévis with 800 men to counter the threat. Lévis left Quebec on 9 August; thus he was not present at the disastrous defeat of 13 September on the Plains of Abraham. Vaudreuil later declared that had Lévis been there the outcome would have been very different, since he surely would have restrained Montcalm from launching his precipitate attack in column on the British lines. As soon as Lévis received word of what had transpired he opened his secret sealed orders and instantly departed for Quebec, joining the demoralized French army at Jacques-Cartier on 17 September. He was livid when he learned what had happened, declaring that he had never seen anything to equal the disorder he found among the troops. He declared bluntly that the defeat and shameful rout, just when they believed they would end the campaign with glory, had resulted from Montcalm’s decision to attack before he had assembled his entire force. That said, he added that Montcalm had done what he thought was for the best. To Bourlamaque* he wrote that they must try to show things in as good a light as possible. 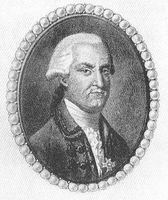 When Vaudreuil asked that he and Lévis should go through Montcalm’s papers since they would contain much that concerned the colony, Lévis bluntly refused, stating that he alone was empowered to look at them since they concerned only the French regulars, and he was responsible for them to the minister of War and Montcalm’s family. He then set to work to restore order in the ranks, reinforce Quebec before it had to capitulate, and prepared to launch an attack on the British camp. It was, however, too late; on the 18th Jean-Baptiste-Nicolas-Roch de Ramezay surrendered the city. All that could be done was to maintain a defensive position at Jacques-Cartier and send the rest of the army into winter quarters. Once the British fleet had departed in October the remaining French ships slipped down the river bearing pleas for strong reinforcements and supplies to be dispatched at the opening of navigation in order to arrive before the British. Were this not done, or peace not made by spring, Lévis warned, it would be unlikely the colony could be saved. Those ships also carried dispatches from Lévis to the minister of War relating what had happened. He was particularly concerned lest responsibility for the disaster should rub off on him and damage his career. 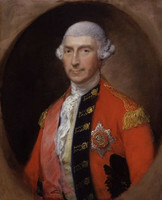 He informed the minister that in no way could he be held accountable for the mistakes committed during the past campaign and therefore requested that he be given assurance of promotion to lieutenant-general should he be able to impress on the British that the final conquest of Canada would not be as easy as they now appeared to think. This promotion, however, was not accorded him. During the winter Lévis and Vaudreuil made their plans for a desperate attempt to beat back the assaults that were sure to come with the spring. Fortunately, their relations remained excellent. They were in accord that the only hope was to retake Quebec as early as possible, then shift the entire force to the Lake Champlain or the upper St Lawrence defensive positions, whichever was threatened first. It was hoped to use the speed afforded by river communication routes to defeat the invading armies one at a time. Everything depended on the initial success at Quebec and the receipt of reinforcements from France. 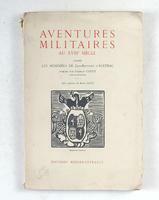 Orders were issued by Lévis in late November to the battalion commanders. Discipline had to be tightened and uniforms and equipment distributed fairly. The only shortages were in camp kettles, hooded winter coats, and underwear; beef was in short supply but there was enough bread. Vaudreuil ordered the militia captains to see to it that the habitants with soldiers billeted on them had eight days’ rations always available so that a detachment could be called out, or the entire army, ready to march on the instant. The militia likewise had to be ready to march on first receipt of the order. Lévis also instructed the regular officers that they were to cooperate with the militia captains, establish good relations with them and treat the habitants gently, there having been too many complaints in the past on that score. To make this last point more firmly, he repeated the order five days later, on 29 March. Lévis also carried on a polite correspondence with James Murray concerning the French casualties left behind in the Quebec hospital and an exchange of prisoners. Although they could not reach agreement on these issues, they clearly held each other in high regard as professional soldiers. When Lévis sent Murray a small supply of scurvy antidote, the latter reciprocated with a Cheshire cheese. They also exchanged newspapers brought by released prisoners sent from New York on cartel and Lévis commented on the disturbing fact that there was no mention of their particular theatre, that they appeared to have been forgotten in Europe, and then added tartly that he hoped to bring Murray more interesting news in the near future. Throughout the winter Canadian detachments kept Murray’s garrison closely invested, denied them any provisions from the countryside, and launched savage attacks on their outposts. But the worst enemies for the British were the bitter cold and scurvy. By spring Murray’s garrison of 7,500 men had shrunk to some 4,000 fit for action. On 20 April, before the river was free of ice, Lévis set out from Montreal with his 7,000-man army, 3,000 of them militia. Eight days later, after a terrible march through slush and mud, they stood before Quebec. Murray had received warning of their approach and was able to withdraw his advance forces, numbering 1,500 men, from Sainte-Foy and Lorette before Lévis could cut them off. Instead of shutting himself up in Quebec Murray decided to give battle, hoping to defeat the French forces piecemeal. He marshalled his army, 3,900 strong with 20 cannon, on the heights of the Plains of Abraham, the same ground that Montcalm had held in September. 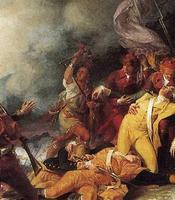 Lévis avoided Montcalm’s mistake of attacking in column. He mustered his battalions, by now reduced to 5,000 men, in line more swiftly than Murray expected. Owing to a misinterpreted order the La Reine brigade and a body of militia, over 1,400 men, moved to the wrong flank and were left out of the action. The actual opposing forces engaged were therefore about equal in number. Murray’s plan was to hold the heights and pound the advancing French with his cannon. When Lévis’s army moved up to attack, the units on the right got some distance ahead of the main body. Murray attempted to seize the opportunity and abandoned the heights, advancing down to marshy ground to attack. Lévis withdrew his right into the shelter of the nearby woods and also ordered the retreat of his left, which had meanwhile become embroiled in a fight for some houses. Jean d’Alquier* de Servian countermanded the latter order and led his men in a bayonet attack which stopped the British short. At the same time Lévis led an advance on the right that turned the British left flank, threatening to cut it off. The units there swiftly drew back, followed by the centre and then the right. Retreat became a rout. Had the La Reine brigade been in position Murray’s army would have been crushed against Quebec’s walls and destroyed. As it was, the survivors gained the safety of the town and Lévis was obliged to lay siege, with a totally inadequate siege train. He had won a resounding victory. His casualties were considerably less than Murray’s, but the British still held Quebec. Everything now depended on which ships arrived first. On 9 May the British frigate Lowestoft [see Robert Swanton*] sailed into the basin. The fleet under Lord Colvill* was close behind. Nothing remained for Lévis but to raise the siege and retire to Montreal for a last stand. Three British armies now converged on the town, Murray from Quebec, Jeffery Amherst down the St Lawrence from Lake Ontario, and Brigadier-General William Haviland down the Richelieu. Murray ordered all the farms from Jacques-Cartier to Cap-Rouge burned, the people driven south to be a burden on the foe. All the way up the river the habitants were ordered to lay down their arms and return to their homes. Deserted farms were put to the torch. The militia now began to desert en masse, heading to their homes to save them from destruction by laying down their arms. The French regulars also, even the élite grenadiers, deserted in batches. The French army was rapidly melting away; its officers were in despair. Further resistance was clearly hopeless, and Lévis admitted as much, but he insisted on fighting on to preserve the honour of French arms. In May 1759 he had declared that the army would defend the colony tenaciously and that it would be more honourable to perish, arms in hand, than to submit to a capitulation as shameful as that of Louisbourg. He may well have been strengthened in this resolve by the minister of War’s directive dated 19 Feb. 1759 to Montcalm, ordering him to hold out to the last extremity rather than accept terms as shameful as those accepted at Louisbourg, and thereby erase that memory. On 6 September Amherst’s army was at Lachine. Vaudreuil called a council of war and it was agreed that nothing remained but to draw up terms for the surrender of the colony. 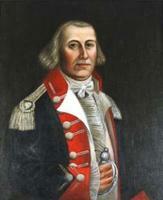 Amherst concurred with most of them, but demanded that the regular troops not serve again during the war. What was worse in the eyes of the French officers was that he churlishly refused to grant them the customary honours of war. 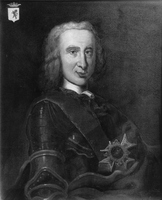 Lévis thereupon demanded that negotiations be broken off and a last stand made to preserve the honour of the army. It would, he declared, be unthinkable to submit to such humiliating terms before the enemy had been obliged to launch an assault on the town. When Vaudreuil refused to agree to the destruction of Montreal merely for the sake of punctilio, Lévis requested permission to withdraw the French regiments in defiance to Île Sainte-Hélène, where they could only have succumbed to starvation. Again Vaudreuil refused. He commanded Lévis to conform to the terms of the capitulation and order his troops to lay down their arms. All that was left to Lévis was to have the regimental colours burned to deny them to the foe, and to refuse to meet with Amherst and extend him the courtesies customary between generals. Lévis sailed from Quebec on 18 October, leaving his junior officers to fend for themselves, and arrived at La Rochelle, France, after a rough crossing on 27 November. That same day he wrote to the minister of War informing him, among other things, that Vaudreuil had, to the end, done everything that prudence and human experience were capable of. Under the circumstances, that was generous of him. Five days later he was on his way to Paris. 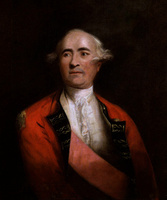 There he petitioned for promotion to lieutenant-general, for a supplement to his Canadian pay and allowances to bring his emoluments up to the 48,000 livres that Montcalm had enjoyed, and for release from the term of the capitulation that barred his serving further in the war. He was accorded all three. On 6 Feb. 1761 the treasurer general was instructed to pay Lévis 23,598 livres; on the 18th he was granted the rank of lieutenant-general and on 24 March William Pitt wrote from Whitehall to inform Lévis that His Britannic Majesty had been pleased to free him to serve anywhere in Europe. 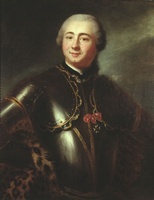 Two weeks later the Duc de Choiseul, minister of War, informed him that he was to serve with the army of the lower Rhine under the Prince de Soubise. Lévis did not, however, exhibit great impatience to return to the field; it was early December before he reported to the marshal. On Christmas eve he received permission to return to Paris and left Düsseldorf (Federal Republic of Germany) in the morning. This swift departure may have been occasioned by his forthcoming marriage, in March, to Gabrielle-Augustine, daughter of Gabriel Michel de Danton, the treasurer general of the artillery and a director of the Compagnie des Indes. He subsequently commanded the advance guard of the Prince de Condé at the battle of Nauheim/Johannisberg (Hesse, Federal Republic of Germany) and distinguished himself by capturing the enemy’s guns. 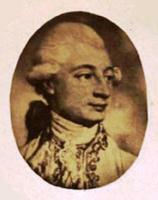 When the war ended in 1763 Lévis left active service and in 1765 was appointed governor of Artois. In 1771 he received the highly honorific commission of commander of one of the four companies of the newly formed guards of the Dauphin’s next eldest brother’s military household (Gardes du Corps de Monsieur). He subsequently appears to have divided his time between Paris, Versailles, and Arras, seat of the Estates of Artois. He was quite assiduous in his duties and concerned himself with the improvement of communications in his province, in particular the construction of a canal from Béthune to the river Lys, and of a road from Boulogne-sur-Mer to Saint-Omer. During the War of American Independence he corresponded amicably with his old adversary James Murray, now governor of Minorca. They clearly still held each other in high regard. When officers of the Minorca garrison had to return to England during these years Murray wrote to Lévis asking him to use his good offices to procure passports allowing them to return overland through France rather than by sea or the long way round through Italy, Austria, Germany, and the Low Countries. 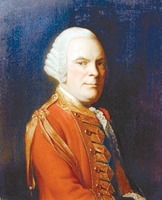 Lévis was always pleased to oblige, even after Murray’s nephew Captain Richard Johnston abused Lévis’s kindness by drawing on his purse to the amount of 4,800 livres with a letter of exchange that both the London bank it was drawn on and Captain Johnston’s father refused to honour. Murray hastened to make it good. 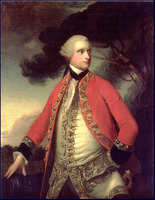 Lévis declared that nothing gave him greater pleasure than to be of service to Murray. He went on to say that he hoped the war would soon end and that Murray would then return to England by way of Paris so that they could renew their old friendship. During these years Lévis’s career continued to advance. He received the baton of a marshal of France on 13 June 1783, and the following year he was created a duke. Four years later, in his 67th year, although in poor health, he insisted on travelling to Arras to preside at the opening of the provincial Estates. It proved too much for him. He died shortly after his arrival. A monument in his memory was erected by the Estates in the cathedral of Arras. He left a son, Pierre-Marc-Gaston de Lévis, who inherited the title of duke and command of the company of the Gardes du Corps de Monsieur, then went on to a notable career as a member of the Constituent Assembly, and as an émigré, economist, Anglophile, author, and member of the Academy. His widow and two of his three daughters were less fortunate; they went to the guillotine in 1794. The life of François de Lévis was a remarkable old régime success story. Starting out as an impoverished Gascon cadet he ended his career as a marshal and a duke; beyond that no one could go. During his early career he had the powerful support in the army and at court of his kinsman the Maréchal de Mirepoix, whom Lévis regarded as his foster father. He lived in an age when patronage was all important, ability counted for little, and intrigue was endemic. He carefully avoided making enemies, but refused to play the sycophant. He remained aloof from factionalism, particularly in his relations with Montcalm and Vaudreuil, and earned the respect of both, which in itself was no small achievement. His competence as a military commander is beyond question; his victories at Montmorency and Sainte-Foy are proof of that. Finally, the esteem in which he was clearly held by his old antagonist Murray speaks volumes. [The bulk of the manuscript material dealing with Lévis’s service in Canada is contained in the Coll. des manuscrits de Lévis (Casgrain), in AN, Col., C11A, and in AMA, SHA, A1 and Y1d. There is reference to his service in Europe in the last two series. Transcripts of his post-war correspondence with Murray are in PAC, MG 23, GII, 1, ser. 1, 5. 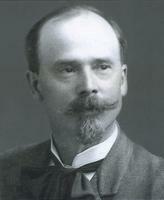 W. J. Eccles, “LÉVIS, FRANÇOIS DE, Duc de LÉVIS,” in Dictionary of Canadian Biography, vol. 4, University of Toronto/Université Laval, 2003–, accessed April 23, 2019, http://www.biographi.ca/en/bio/levis_francois_de_4E.html.